The linden tree, Tilia americana, is also called basswood, lime tree, white wood, and bee tree. This blog is normally about wildlife, but I'm taking a moment to praise the linden trees that are blossoming in New York right now. In a city not noted for smelling good, the event is a delightful occasion. 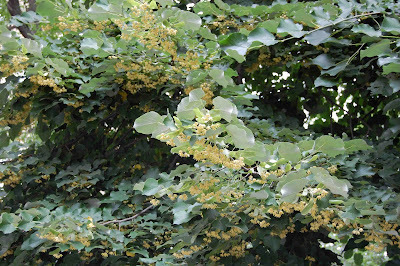 Linden trees smell fresh, green, flowery, and sweet -- a little like melon, a little like honey. The smell wafts hauntingly around the trees and spreads on warm breezes. It makes me stop and inhale. 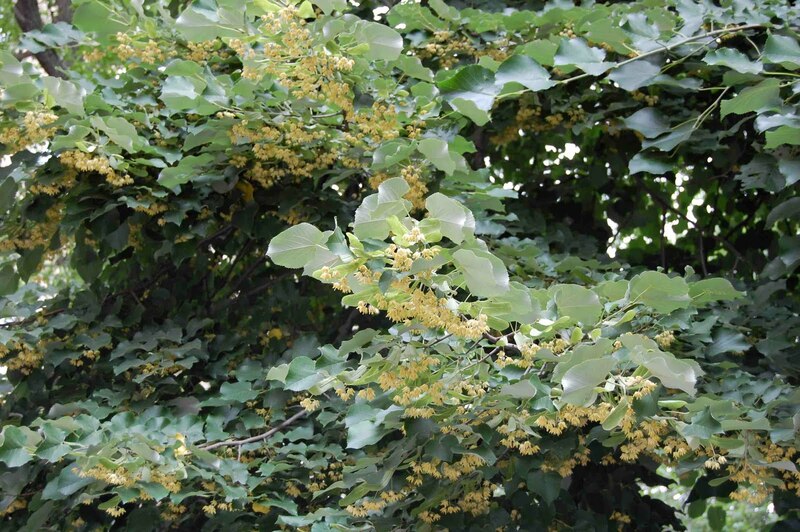 It smells so good that I look forward to passing each linden on my daily route, especially a big old tree on the northeast corner of Central Park West at 66th street; its flower-covered branches droop over the sidewalk and diffuse perfume all around. Hi Gardener, Thanks for the mention. Enjoy the linden. I was out walking today in Brooklyn and smelled them everywhere. They are delicious!